1. Transfer of interest in specific immovable property. 2. Transfer is for the purpose of securing the payment of money advanced or to be advanced by way of loan. 3. It may be existing and future debt. 4. It may be also for performance of an engagement, which may lead to financial liability. Can a mortgage be done in favour of company? Yes. The transfer of specific interest in an immovable property should be in favour of living person. Living person includes company, association, and body of individuals. Mortgages are dealt as per transfer of property act while Indian Contract Act of 1872 deals with pledge. Pledge is the bailment of goods, as security for payment of debt, performance or promise. The pledgee holds the possession of goods as security, but has no right of foreclosure, as there is no transfer of ownership. Right of enjoyment of property not given to the pledgee. Transfer of possession is very important in case of pledge; not necessarily so in case of mortgage, depending upon type of mortgage. In mortgage there is transfer of interest, whereas in case of pledge, the pledgee has only special right of detaining the goods till repayment of loan. Mortgagor has right of redemption and mortgagee has right of foreclosure, where as the pledgee does not have right of foreclosure. In case of mortgage by possession, the physical possession of the immovable property is delivered, possession is important in case of Usufructuary mortgage. In case of mortgage without possession, the physical possession of the property is not delivered like in simple mortgage. Redemption is right available to mortgagor that is one who has transferred the interest in immovable property. 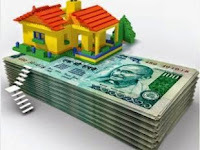 He may at any time after the principal money has become due may repay the amounts due, get the interest in specific immovable property transferred in his favour, and also get back the possession, if delivered to the mortgagee. This is right available to mortgagee, who may exercise this after the mortgage money has become due and before decree has been made for redemption or mortgage money has been paid or deposited in the court. The mortgagee has a right to obtain from competent court a decree that the mortgagor, shall be absolutely debarred of his right of redemption or that the property be sold. The mortgagee has three remedies. A suit may be filed on personal covenant, where the mortgagor has undertaken to repay the debt, binding him personally. A suit can also be filed for sale and thirdly may exercise his right of foreclosure. Generally, almost all the properties which are subjected to sale transaction shall have access to the property from the road so that the occupants of such premises need not pass through the property belonging to other people. However, in some cases there could be deprivation of such a facility. Even the owners of agricultural lands do have this type of problem not only for human movement but also for supply of water for irrigation where water for the land is to be flown through the adjoining lands belonging to other persons in certain cases. The rights of legally using the property owned and belonging to other persons by any individual are called the Easement Rights and are dealt with under the Easements Act, 1882, which provides that it is the privilege of the people to use the land out of necessity, which the owners of such neighboring land cannot deny to them. Thus, the term "Easement" refers to the right to use another's property. It is a right, which the owner of a particular land enjoys over an adjacent property, which he does not possess. It is the right over a property belonging to someone else and not to the person claiming easement rights. Dominant Heritage means inheriting a right by a land owner over another's property and who will benefit from the property which does not belong to him but over which he still has a right. The owner of such a land is called the dominant owner. The term "Dominant" is being used because the owner has control over the use of that particular land which he does not possess. On the other hand, the term "Servient Owner" refers to the actual landowner who cannot object to the other person using his land, as using of such land has become inevitable for such user. Such a owner is referred to as Servient or subordinate because he has to concede to the requirements of the dominant owner to make use of the land belonging to the servient owner. Thus, the Servient Heritage is an inherited property over which the dominant owner has a right to use while Dominant Heritage means inheriting a right by the dominant owner over another's property without owning it. This concept can be illustrated through an example. Suppose, X owns a piece of land. Y has the right of way over it. Here X is the servient owner and has the servient heritage. Y is the dominant owner and he has the dominant heritage. The mere fact that the dominant owner enjoys certain privileges does not mean that the servient owner is left in the hapless and helpless situation. Both the dominant and servient owners have certain rights and obligations against each other to maintain and preserve the easement. The Dominant Owner, while exercising his right over the property belonging to the servient owner, has to make a deliberate and positive effort to preserve the easement and the acts of such dominant owner shall not put the servientowner into inconvenience. On the other hand, the servient owner is neither obliged nor liable to do anything for the advantage of the dominant heritage. An easement can be acquired by grant for consideration, which can be created by way of an agreement entered into between the Grantor and Grantee. This grant becomes effective when the grantee exercises his right to enter upon the grantor's land. The deed of easement may be separately drawn or may become part ofanother deed. For example, X sells his land to Y and by the same deed he may grant a right of way to Y over another piece of land belonging to him. This kind of easement is acquired by a person by continuous use of a land for a long period of time. The term "Prescription", under the Easements Act 1882 refers to getting right by continuous assertion of the right, which has been in use for a long period of time. For example, the inhabitants of a building enjoying the access and use of air and light as a right continuously for over 20 years have the right to enjoy them without any condition or restriction, which is deemed to have been acquired by way of Prescription. Under this category of easement right, right of easement is acquired by the user by virtue of custom having legal sanctity since the same can be acquired by the operation of law through continuous use of a land over a long period of time. All these 3 types of easementary rights available to the user by way of grant, prescription or by custom are recognized under law. Creation of an easement does not assign or transfer the right of the actual owner over the property in favour of the dominant owner. In the same manner, surrendering an easement right does not imply transfer of property. Easement can be created, altered, modified or released. To create easement by way of grant, it is necessary that the same has to be reduced into writing and cannot be done orally while easements by prescription and custom need not be in writing. Easement rights are of different types. Right of way, right to air and light, riparian rights, right to uninterrupted flow of water, are a few such rights, which may be acquired by way of prescription or custom or grant pursuant to the agreement between the Grantor and the Grantee. There are three classes of rights available under right of way viz.,  Private right to certain individuals by grant,  rights to certain classes of people like inhabitants of a village by custom and [31 rights reserved or dedicated for the benefit of all. This can be explained well through an example. Suppose a person sells one of his adjoining properties reserving the right of way in the passage running across the property sold. This right will have to be explicitly stated in the sale deed. Similarly, if the purchaser has no right of way to access the road, the seller will grant to the purchaser such a right of way over his property. Here also the seller of the plot shall explicitly mention the fact of granting of right of way in favour of the purchaser. However, a right of way for the benefit of the public at large is normally acquired by prescription. A private right of way can be either permanent or periodic or for a particular time during the day only, or seasonal or for a limited time, for to and fro movement of human beings, cattle and light vehicles. The conveyance deed has to clearly mention the purpose for which easement is granted. By the deed of grant the servient owner gives full and free right to the dominant owner and his successors a passage wide enough for movement of people and vehicles for a price. To avoid ambiguity, it is advisable to obtain a clear map of the properties and the passage marked in different colours and may be annexed to the deed of conveyance. Easements of air and light arise only in the places where buildings are constructed very close to each other and often ignoring the inconveniences of the nearby inhabitants. Lack of required space between the buildings will hinder air flow and natural light to the houses constructed in close proximity. The predominant objective of the Easements Act 1882 is only to prevent haphazard construction of the buildings and to enable the user to ascertain his right of ingress and egress to his property by making use of the property belonging to some other person and also to enjoy free flow of light and air. However, exercising such right by the user will in no way affect the title of the owner of the property. In order to regulate building constructions, bye-laws have been prescribed by the Government making it mandatory for allowing the minimum set backs while constructing buildings so that there could be free flow of air and natural light. Therefore, before purchase of any immovable property, it is very important to verify as to whether there exists a direct access to the property from the road. In the absence of such a facility, the deed of conveyance should carry a clause of easement rights to the purchaser to enable him to possess and enjoy his property with comfort. It is also necessary for all the people to adhere to the guidelines stipulated in the building bye-laws to avoid inconvenience and peaceful enjoyment of the property and to live in harmony with their neighbours. The promoter regulation demonstrations of different States endeavored to manage what could be considered as overabundances by the land division i.e., (i) gathering colossal sums even preceding the support of development recommendations, (ii) making a home loan on the property before or in the wake of going into an understanding of offer with outsiders, without telling them of the home loan, (iii) not conveying lofts in time, (iv)changing sanction arranges halfway, (v) not exchanging condo to individual level buyers or to lodging social orders, with the affectionate trust that the FAR/FSI in the zone would increment and they could advantage, (vi) gathering immense upkeep expenses and siphoning it off through swelled charges, (vii) issuing misdirecting commercials, and so forth. All these and different issues should be dealt with by the Law, and can't be left to market strengths, since the well deserved lifetime investment funds of natives are included. In spite of a few States bringing laws, there is no denying that the Real Estate area is still a standout amongst the most unregulated,in so far as relations between the designer/promoter/developer and the buyer are concerned.As being what is indicated, there is a basic requirement for a model Real Estate (Regulation and Development ) Act. The Central Government had reported a Model Real Estate (Regulation and Development) Act, which was set up for exchange before it was brought before Parliament.It imagines administrative and re-appraising powers to direct, control and advance improvement by development, deal, exchange and administration of private flats. Despite the fact that the model enactment is an appreciated move to convey control to the division, the proposed enactment is not tying on States, which need to order separate enactments. The administrative power proposed is notwithstanding existing powers under distinctive nearby, arranging, income and duty foundations. There are many licenses and regards to be acquired before beginning improvement and, looking into the way our frameworks work, the new proposed powers would just postpone supports, add to the expense and make extra structures that would just set the clock back. This is the time of liberalization.The proposed enactment will just take the land business back to the permit raj period.Formation of extra powers has dependably prompted more debasement. Over the top requests by powers perpetually prompt postpones and cost heightening, at last borne by the buyer. Energy to such powers has customarily prompted its abuse, and no framework to manage this danger has yet been found. Particularly in the Real Estate division, promoters should be made dependable and at risk so that the abundances griped of by the nationals and financial specialists are dealt with by Law directed through Courts. What are revenue sites ? Revenue Sites are sites which are formed on agricultural lands without proper approval under the relevant law pertaining to Town and Country Planning Act and also as per other provisions of law. They are unauthorised layouts which cannot be used for any non-agricultural puropse. The construction made on such a site is considered to be an unauthorised construction. Can one purchase a Revenue Site and construct a house ? As stated earlier, the sites formed on agricultural lands, cannot be used for residential purpose. They remain as agricultural lands. Only agriculturist, or agricultural labour is eligible to purchase agricultural lands. There are income restrictions also. Agriculturists, whose income from non-agricultural source is less than two lakh are eligible to purchase and own agricultural lands. Others need government permission. Further, such lands have to be used only for agriculture, unless converted. As per Karnataka Land Reforms Act, if any agricultural land has to be used for purposes other than agriculture, permission from Government of Karnataka is necessary. The Government permits such change of use on payment of prescribed fees for some specific purpose, like residential, commercial, industrial. The Special Deputy Commissioners are authorized authorities to permit such conversion. The fee has to be remitted to the Government. The conversion is subject to various conditions such as making provision for roads etc. The land has to be utilized for the converted purpose within stipulated time. How a revenue land can be used for residential purpose ? What are the consequences of purchasing Revenue Sites? The very acquisition of revenue site (agricultural land) is against the provision of law. The Karnataka Land Reforms Act makes it very clear that such purchase is null and void. If any non-agriculturist purchases revenue site (agricultural land) he is duty bound to inform the details of land and his annual income to the jurisdictional Tahsildar within 90 days from the date of purchase. The Tahsildar after enquiry will forward the details to the Deputy Commissioner. The Deputy Commissioner will notify that such lands shall stand transferred to and vest in the State Government, from some specified date without any compensation. Further, though the khatha mentions the site no. and areas in square feet, the original revenue records continue to mention survey numbers in Acres and Guntas. It would be very difficult to identify the exact site. After selling such a site the original owner of the agricultural land continues the ownership of the survey no. land. Gramathana site is different from agricultural land. It is an area earmarked for residential purposes in a village. It is numbered as Kaneshumari number. Gramathana sites does not require conversion for residential purposes. But extra care is required while purchasing those properties as there are large number of form 10 conversions. Is it possible to register a Gramathana site? Yes, it is possible to register the site. However, it is the duty of the purchaser to look into the title before purchase of the property. Generally the Gramathana sites do not have Sy. no. reference Title is the most important aspect to the verified from origin, flow and present status. The vendor having a title can transfer the property by way of registration. If he has a defective title he will transfer only the defective title. It is the duty of the purchaser to look in to the title thorough an advocate who is having specialized knowledge on property legal aspects. Yes. The Act is in force. Sec. 13: Manager not to cut off, withhold curtail or reduce essential supply or service - Any person, who is a promoter, or who is in charge of management or connected with the management as a member of the Managing Committee, Director, Secretary, who contravenes the provisions of Section 13 or disobeyed the directions of the Court for restoration of amenities shall on conviction be punished with imprisonment for a term which may extend to 3 months or with fine or with both. Sec. 14: Offences by promoter - Any promoter who without reasonable excuse fails to comply with or contravenes any provisions of the Act or any Rule made there under shall on conviction be punished with imprisonment for a term which may extend to one year or with fine which may extend to Rs. 2000/- or with both; and any promoter who commits criminal breach of trust of any amount advanced or deposited with him for the purposes mentioned in Section 5 shall on conviction be punished with imprisonment for a term which may extend to 4 years or with fine or with both. Sec. 15: Offences by companies - If a person committing an offence under this Act, is a Company, every person who at the time the offence was committed was in charge of and was responsible to the Company for the conduct of business by the Company as well as the Company shall be deemed to be guilty of the offence and shall be liable to be proceeded against and punished accordingly except wherein such person proves that the offence was committed without his knowledge or that he exercised all due diligence to prevent the commission of such offence. Note : (1) Section 5 deals with the promoter to maintain separate account of sums taken as advance or deposit and to be trustee thereof and disburse them for purposes for which given. (2) The language used in this note under sec. 12,13, 14 and 15 are not the verbatim of the stature language. Sec. 32: Persons to present documents if for registration Except in the cases mentioned in [Sec. 31, 88 & 89] every document to be registered under this Act, whether such registration be compulsory or optional, shall be presented at the proper registration office. (c) By the Agent of such persons, representative or assign, duly authorised by power of attorney executed and authenticated in manner hereinafter mentioned. On plain reading of the above provisions it is clear that a customer after executing an Agreement can authorize the company, by a simple letter to present the same for registration, before the Registrar, as per clause (b) of section 32 of the Act. However, it would be advisable to obtain a registered general power of attorney executed by the purchaser in favour of the company to present the document for registration. Man does not live only for food, cloth or shelter or for himself. He has certain social responsibilities to provide for his family and also for himself in his old age. This naturally makes him save some portion of his earnings and invest in lucrative portfolios. After the basic needs of food, cloth and shelter are fulfilled he strives to improve his standard of living and to enjoy the fruits of his hard earned money. Investment avenues are many. But, the Investor should be prudent enough to select a proper area, which is safe and secure, with assured reasonable returns.Earlier, the Bank deposits, stocks, mutual fund, insurance policies and bullion were most opted. With increased business, globalisation of economy has unfolded many more areas. The investment has become very complex which has led to the emergence of specialised investment Advisers. Bank deposits, insurance policies and mutual funds have become unattractive because of low returns and failure of many companies. Stock market is unpredictable and volatile. Moreover, these investment avenues are for short-term which need close monitoring. Further, the quantum of investment is generally small. In recent, past real estate has emerged as a safe and high yielding investment opportunity. Investment in real estate is a long-term invest­ment and needs a considerable amount. It is not only financial, but also a sentimental and emotional investment. The liberalisation initiated by the Government has opened up the hitherto dormant Indian economy and many Multi-National Companies have set up their offices in major metros. The improved pay packets of vast middle class population have opened many investment routes. The desire to own a roof over their head as early as possible and the migration of rural people to urban centres in search of assured income jobs has further expanded the real estate market. However, as the demand exceeded supply, many fly by night operators appeared on the stage and indulged in speculation and an artificial price spiral, which resulted in crash of real estate market in latter half of 1990. But now, the market has regained its potential. Only serious Vendors and Endorsers are operating in the market. The yield in the realty market has to be calculated on the capital invested and the annual rental returns less property tax, income tax and annual maintenance charges. This return varies according to the type of property i.e., residential, commercial or office space. In Bangalore, the returns are about 8% for residential, 12% for office space and for commercial space 12 %. There are certain determining factors, which play a crucial part in the property invest­ment. Where to invest? In other words it is location. There is equal demand for all types of space in metropolitan cities and market trends are more transparent on an account of competi­tion and frequency of dealings. But, smaller towns have potential of increased returns because of dearth of space. Local politics also plays its role in determining the returns in small towns. Investment in real estate needs higher amount and the minimum entry level will be in multiples of lakhs, it would be about Rs. 20 lakhs for residential and much more for office and commercial space. The sale of property requires long time for finding a suitable Purchaser and for comply­ing with the legal requirements. Further, the appreciation of capital value of the land is slow but, will be certain and stable unlike in stocks and shares. The realty investment calls for more discretion and involves complicated processes like title verification, land use according to Local Laws, Floor Area Ratio (FAR), restriction on sale for some period and many more Laws and rules depend­ing upon the political environment. Uncertain tax rules and rates which vary every year need to be considered. Property tax is an annual commitment, in which it is being increased every year by self-assessment or capital based assess­ment. Rental income also attracts income tax to be paid annually; sale of property attracts capital gains and purchase invites Stamp Duty and Registration charges. Property tax & Stamp Duty varies from State to State. As stated earlier, the type of property is also very important. It may be residential, commercial or office space. The demand and supply position of each sector needs to be carefully exam­ined. Residential property calls for smaller investment. Commercial and office space needs higher investment. (ii) The other type is the sale consider­ation on sale of the property. The amount to be invested also depends on the mode of returns expected. Generally, leasing of property is attractive only for business people. Lease amount does not attract interest. Commercial property and office space yield high returns to the extent of 15% whereas the residen­tial property yield is about 8%. Tracing the title of the property is the most important step in purchasing the property, which has to be done by an Experienced Advocate who is well-versed in Property Laws. Property Laws are very complex and vary from State to State. Further, many times the age-old records needs to be examined which may not be available with the parties or even in the Jurisdictional Sub-Registrar's Offices. Further, Legal Scrutiny is based on the documents that will be produced for the verification. However, it is not the duty of the Advocate to certify the genuineness of the documents from the concerned departments. Honesty and integrity of the Seller is very important. 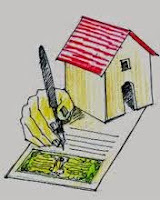 Certain hidden facts like pending cases, prior agreements and Govern­ment notification of the property cannot be traced easily by verifica­tion of the documents. However, paper notification about purchase of property would help to unearth some claims. Investment in real estate cannot be immediately converted into cash unlike stocks, deposits. However, the property is most sought after security for Bank loans and rents may be securitised by obtaining loans from the Banks. Property needs periodical maintenance, which involves a considerable amount. 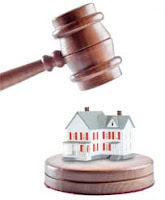 Most of Indian Laws are pro tenant offering maximum protection to the tenants. But, gradually they are being amended to strike a fine balance and even now, it takes much time to evict a tenant, who has defaulted in payment of rents or who has violated the terms of agreement. Government has maximum control on real estate sector. Sale or purchase of agricultural land has many restrictions in Karnataka. Land use restrictions exist in many towns. The major source of revenue to the Government is from the immov­able properties in the form of Stamp Duty and property tax. In case of acquisition by the Government, the compensation paid is much lesser than the market value. It has been observed that, the real estate has regular ups and downs where the prices go on increasing for some period and slide down for some time. But, this cycle is a long-term trend. Though the investment is huge, the Investor needs to be in patience to have a good return which takes a long time. It would be suicidal to expect appreciation in short run. Two components, the building and the land move in opposite directions, the building value gets depreciated and the land value gets appreciated. Some factors are remotely linked to this sector and play a crucial role in determining the price. Introduction of one-way traffic and construction of flyovers near the property decreases the value of the property. Vaastu, nowadays, has become important. 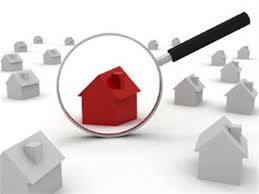 Another area of concern is want of information in the property market. The available information is too insufficient and often contrast­ing. Even the transactions recorded in Registrar's Office will not reveal the real price of the property as the amount other than what is mentioned in the document might have been paid. The rental income from the properties is in the range of 0.5% to 1% p.m. on the investment. Apart from this income, the value of the property appreciates regularly, whereas in the case of Bank deposits, the value of the money deposited gets eroded on account of inflation. The investment in agricultural properties and farm houses are not remunerative. The income from the agricultural property is seasonal and depends upon the weather and climatic conditions. Further, the sale of agricultural properties has many restrictions. The farm house demands good maintenance which proves costly and many times the income from there may not even meet the maintenance charge. The investment in real estate is a better option. Real estate is the only sector which yields better returns apart from capital appreciation provided the Investor is prudent and has taken necessary precautions. I own a flat in Bangalore but since a couple of months, I am staying in Lucknow, on account of my job. The flat owners’ society for which I am a member is charging me for common expenses, though I am not using any common amenities.Can you please help me by advising me whether I can refuse to pay this demand of common expenses ? Every flat owner is bound to pay his share of common expenses, irrespective of the fact, whether he uses it or not.This is because the flat owners’ holds the undivided interest in common areas.You can not refuse to pay your share of common expenses. What care is to be taken about the undivided share of land while purchasing a flat in an apartment building ? Purchasing a flat along with an undivided share of land is to enable the purchaser to hold certain percentage of undivided share of land which is not earmarked in the total property. Undivided share of land is only the right on the total property of a flat owner along with the other co-owners.In case of demolition of apartment building, in future, with the consent of all the co-owners of the building, a new apartment or any kind of structure can be jointly constructed on this land for possession and enjoyment of the same in proportion to their respective undivided share in land. My father is 75 years old and healthy. A house site measuring 60 feet X 40 feet in J.P. Nagar is standing in his name which is his self acquired property. I am the only son for my parents. When I approached a Bank for grant of housing loan for construction over the said site, they told me that since the property does not stand in my name, either I have to get the said site property transferred in my name or I should hold this property jointly along with my father. At this juncture, kindly guide me the ways for getting the site transferred in my name and whether my father can transfer the same in my favour by way of gift to me. Your father can very well transfer the site property in your favour by way of gift, or he can deal with this property at his sweet will, since this is his self acquired property. However, in case of transfer by way of gift in your favour, necessary stamp duty fee and registration charges are required to be paid as per Karnataka Stamps Act. I have filed a suit against the tenant for vacation of my property given on rent to him. The tenant has challenged the validity of the notice which I got served on him through my Lawyer, under Section 106 of the Transfer of Property Act. What is the legal requirement for issuance of such a notice ? Section 106 of the Transfer of Property Act, requires, is that a lease or rental on monthly basis i.e., from month to month and it should be terminable on the part of either the Lessor or the Lessee by giving 15 days’ notice in advance, expiring with the end of a month of such tenancy. A legal termination of the monthly tenancy thus requires two conditions to be fulfilled viz., firstly there must be a notice terminating the tenancy giving 15 days’ notice in advance and secondly it must expire with the end of the tenancy month. A communication as notice giving mere 15 days’ notice in advance by itself will not meet with the requirement of the Section 106 of the Transfer of Property Act, but it must also indicate that such 15 days’ period must expire with the end of the tenancy month. Kindly advise me as to when the done has to give his or her acceptance of the Gift ? The Transfer of Property Act 1882 stipulates that acceptance of gift has to be made during the life time of the donor and when the donor is still capable of giving such gift. If the donor dies before acceptance of the gift by the done, then such gift becomes void. Similarly, if the donor is dispossessed of the gifted property before its acceptance by the done, the gift becomes void. Likewise, if the donor or done becomes incompetent to contract before acceptance of the gift by the done, the gift becomes void. Notwithstanding the above, since the gift deed requires compulsory registration, acceptance of the gift by the donee is usually recorded on the day of registration of such gift deed itself, which will ensure the purpose of gift deed.